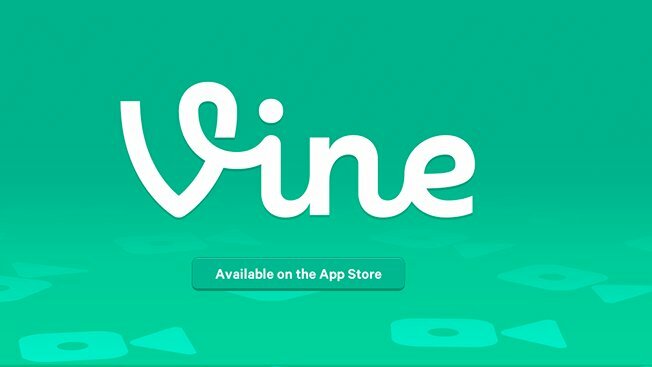 It’s been nearly five months since Vine was introduced as a free iOS app and since then it’s become one of the most downloaded applications in the Apple App Store. Vine, introduced by Twitter in 2012, enables users to create and post six-second video clips that can be shared on social networking channels like Twitter and Facebook. Vine in the News: News outlets are getting in the Vine action, too. In February, Tulin Saloglu, a columnist for Al-Monitor and a New York Times contributor, successfully used Vine to capture terrorist attacks on the U.S. Embassy in Ankara, Turkey. By posting the videos to her @turkeypulse Twitter feed, Daloglu’s films were one of the first attempts to use Vine for journalism purposes. Vine + RyGos: Given Vine’s short form, its success in the world of memes is no surprise. Ryan Gosling Won’t Eat His Cereal went viral last week, propelling creator Ryan McHenry’s following on Vine from eight followers to more than 15,000 (McHenry also has nearly 4.000 followers on Twitter now—we’re curious to know what the figure was before #RGWEHC hit) and no doubt sparking ongoing spoon torment for RyGos. Vine in the White House: Vine is also becoming political. On April 22, the White House joined the bandwagon, publishing its first Vine video through its official Twitter account by announcing the annual White House Science Fair. As the app continues to gain momentum, we at DGC are cognizant of the need to begin leveraging Vine with our clients. When pitching media, Vine can be used to raise awareness of pending news in a fun, viral way—you can develop Vine videos to tease hints of potential news announcements to get media buzzing before a big launch. Since Vine only allows for six seconds of recorded footage, it caters to us PR pros looking to get a message across quickly and succinctly. Vine can also help with clients’ social media channels like Twitter. For your next social contest, consider asking users to submit a Vine video, allowing you to grow your clients’ following by leveraging new and existing hashtags. You can even think about distributing a social media release with Vine videos embedded to give the campaign wider exposure and drive traffic. Do you have more ideas on how Vine can be used by the PR industry? Let us know in the comments below! We know you’ve heard the expression – a picture is worth a thousand words. Well, there are times in life and business when a moving picture with words can be even more powerful. Add in creative set design and a relevant news hook and you have yourself compelling content for the industry at large. Demand for video content is on the rise and the more ways we can help clients incorporate it into their programs, the better it is for them and the media outlets for whom we’re targeting. So, recently, we suggested that Imagination, an agency with deep roots in experiential marketing, bring their strong POV to life as a video rather than text. The point is as readers rely more on iPads and e-readers for their media consumption, it’s just a matter of time until video bylines become the norm on all media outlets. And, one good performance on video is the first step to business shows and national TV placement. So, what key points should you keep in mind if you’re going to try your hand at a video byline? Lose the Talking Head. Don’t allow yourself to look like every other executive the world has seen addressing a serious subject. Let the topic dictate your surroundings. If you’re talking about France, set the scene with items that conjure up the locale – anything from a beret, to a croissant, to a map of Europe. If possible, use levity to draw in your audience and summarize your thoughts. Pretend you’re sharing your POV with someone you’d want to share trusted advice with vs. the camera lens. And, without further ado, you’ll be ready for your close-up, and just one step away from the national business shows. In closing, we’d like to share an example of a video byline. If you have only half the charm and wisdom of Eduardo A. Braniff, CEO of Imagination The Americas (below), you’re sure to succeed.